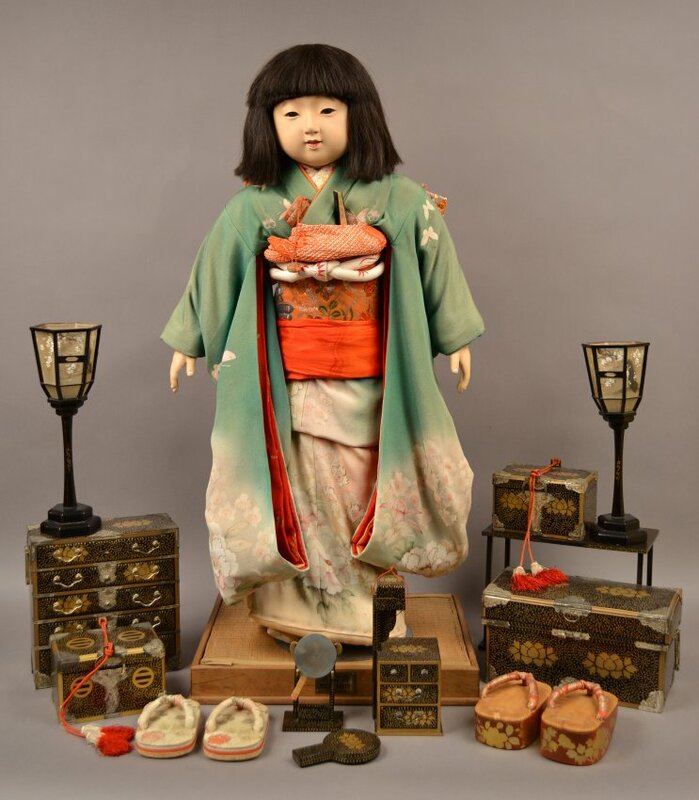 This unusually shaped sewing chest is one of the Miss Kyoto doll accessories. 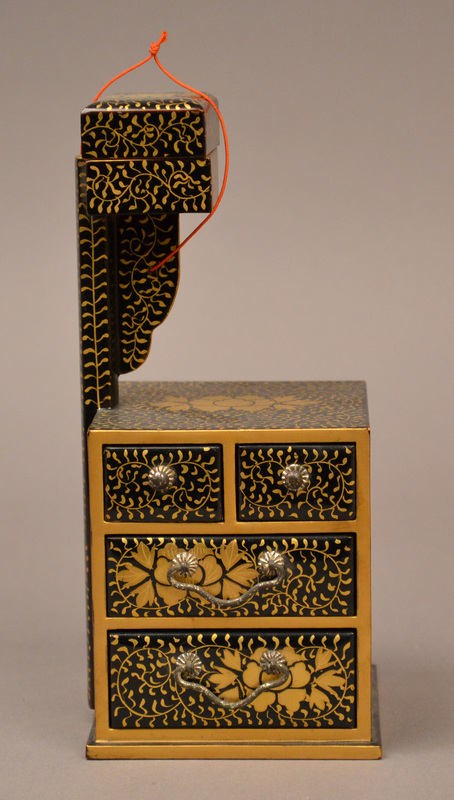 The chest is made of black lacquer with a painted gold leaf and floral design. The square base has three layers of drawers: the bottom two drawers are as wide as the base, while the top layer is divided into two drawers, each half the width of the base. 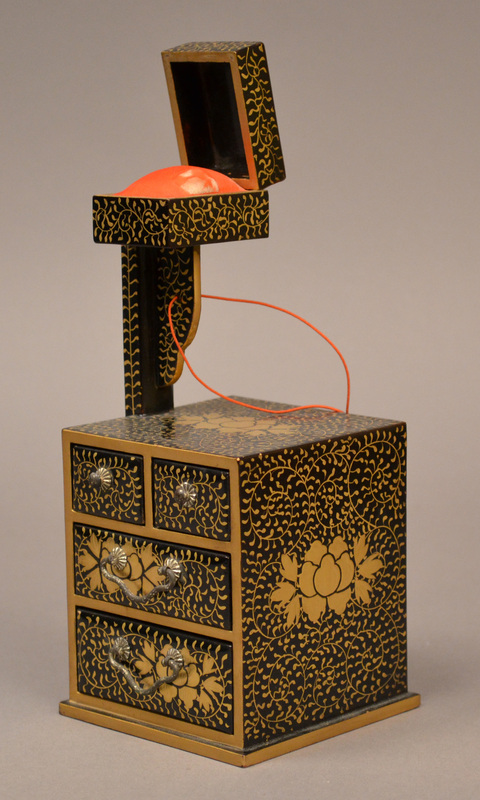 There is an additional small hinged box, possibly meant for a pincushion, on a stand above the top of the chest. The hinge of the small box is broken. The box is filled with padding and covered in thin, red, threadbare silk. A red string is affixed to the riser.